With technology moving so quickly it’s tough to keep up with everything that’s out there. But there’s literally an app for just about everything. The idea a few years ago that there wouldn’t be a need to physically walk into a bank ever again was only a pipedream. Now there are ways to scan and deposit checks without ever having to deal with bank tellers or real people ever again. There are apps for meeting friends to play different sports, meeting new people to hook up with or date, and apps for finding babysitters. For all the different things that are out there, these are probably the sketchiest. 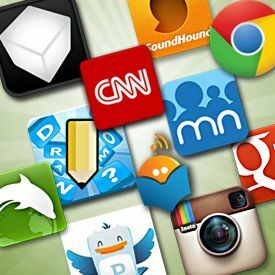 Beyond all the ridiculousness that apps have created, their are tons of useful ones that make life so much easier. I was sitting around thinking up new ideas and there’s still so many things that haven’t been thought up. There was once a point in time when MapQuest among other sites were the best source for driving directions. Now there’s not a phone that doesn’t dictate everything to you down to the second. The point is, there’s plenty of useful parts of life that have just been quantified and made easier. Everyone used to call each other on land lines. Now the idea of dial-up connections are a joke and very few people actually hold on to their land lines. Cell phones have taken over peoples’ lives but are useful enough that we can overlook any real problems that can be debilitating. Some inventors get offered millions for ideas while others pass up the money and give it up for free. If there’s something you’d want to think about getting into it’s technology and finding a programmer to work on various ideas. Non-iPhone users might not know the extent of different apps available, but eventually there will be a time when everything is accessible to everyone. Who else can’t wait until there’s a time when everything ever is interactive and accessible by pulling up on a hologram.